This is already the third newsletter dedicated to the transnational project I – S.K.Y.P.E. 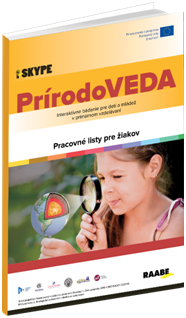 (Interactive Science for Kids and Youngsters in Primary Education) that publishing house RAABE started to implement in October 2016 in cooperation with six other partners from three European countries – Slovakia, Czech Republic and Germany. This is the way how we would like to give you all information about what we have done in the project since its beginning until now, how is it going to continue and what lies ahead of us in the following period. Transnational project I – S.K.Y.P.E. 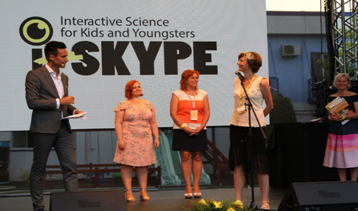 (Interactive Science for Kids and Youngsters in Primary Education), which is entirely focused on the support of the science-related subjects´ teachers in primary education has already entered its second half. 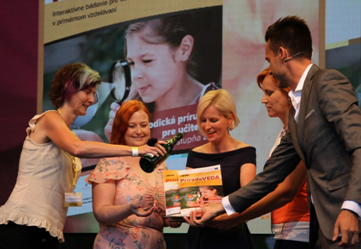 Together with publishing house RAABE as a project coordinator, there are six other partners from three different countries (Slovakia, Czech Republic and Germany) participating at the project. The main aim of the project I – S.K.Y.P.E. is to influence fundamentally the existing education system, both at national and European level, through the exchange of knowledge, experiences and good examples between schools, universities, science associations and the business companies. What have we done in the project so far? 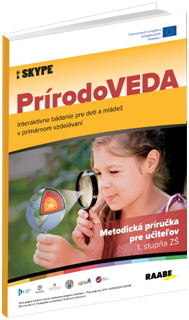 The testing and evaluation process of the revised first version of methodical materials was conducted at the partner schools (Primary school with kindergarten of king Svätopluk in Šintava; Primary school of J. Guth-Jarkovský Prague, Stiftung Louisenlund) during the autumn and winter 2017. All the comments and suggestions in the form of filled in evaluation sheets were sent to university partners. According to them, they prepared a final version of the 1st Intellectual output (O1) – Methodical Teachers´ Handbook. First six months of the year 2018, after all comments and suggestions were successfully implemented into the final version, we all in RAABE have been working on the printed version of Methodical Teachers´ Handbook, especially on its Slovak mutation. After hours of translations, editing and graphical modifications, we proudly introduced the book version of methodical materials of the project I – S.K.Y.P.E. at international conference Teacher is not Google 5 in Senec on 7th June 2018. Simultaneously, while we were working on the methodical materials, other project partners have been creating 2nd Intellectual output of the project (O2) – Creative workshops for the teachers of science-based subjects in primary education. Their content is connected to created methodical materials and their aim is to introduce innovative methods and ways of teaching science related subjects to teachers directly at school practice. To fulfil this aim, we have decided to prepare the series of workshops to be presented to primary school teachers in all three countries – Slovakia, Czech Republic and Germany. Shortly before we will introduce prepared workshops to teachers in Slovakia, Czech Republic and Germany, all the project partners are going to meet at 3rd Transnational project meeting (M3) which will take place in Hamburg, Germany from 4th to 6th September 2018. Project partners are also going to start working on Online Platform, which is another project output, specifically 3rd Intellectual output (O3). Among other things, the important part of the platform will be all created intellectual outputs of the project in electronic version. It will also serve as a source of suggestions, ideas and examples for teaching science related subjects. The platform will provide a space for all teachers to exchange and share their experiences from school practice. At the end of the project, university partners will summarise all the information, experiences, results and new ideas to compile a Concept for Policy Reform and Curricula Update – 4th Intellectual output of the project (O4) that would be applicable in education systems in all three countries participating at the project.